It's the end of road for Tom Moyane. So why does he think it's not? Twenty-five years into democracy, it sadly appears that save for the courts and the possible resurrection of SARS, the constitutional promise seems to have to await much longer, writes Serjeant at the Bar. The South African Constitution was designed to create a culture of accountability, transparency and integrity in government. On its own the text of the Constitution was not going to lift the country into democracy. Thus it was to be hoped that the values outlined above would be absorbed into our political practice and, if not, key institutions other than the courts, being SARS, the NPA and the Public Protector would be on standby to ensure that there would be compliance with these values. Twenty-five years into democracy and, sadly, core constitutional principles are still adhered to as much in the breach as in the compliance. Take the recent controversy about the list of political parties of their candidates for national or provincial assemblies. Across the political divide there are people on these lists who have been publicly accused of serious acts of corruption, or other breaches of the criminal law. It must be accepted that none of these allegations have been tested in court and thus subjected to the rigors of examination and cross examination. But is it a defence to argue "innocent until proved guilty"? In a society which treasures fundamental constitutional values, the public are entitled to demand that, in the event that there is a dark cloud hanging over a candidate which is sourced in plausible evidence (albeit untested), he or she should surely have their name cleared before standing as a public representative. The bar to entry cannot be set so low that it is negotiated by the claim, "innocent until proved guilty". The expression that Caesar's wife is above suspicion is surely a more appropriate standard. Regrettably, political morality has lagged behind the promises of the Constitution; hence the need to turn to the key institutions. As the report of the Nugent commission made clear, SARS suffered devastating degradation over the past few years. Two significant consequences flowed therefrom: the consistent tax shortfalls meant that taxes like VAT had to be increased pacing increased pressure on the poor and the decreased revenue collection meant that expenditure which was vitally needed for the transformation of the country could not be incurred. Secondly, tax evasion increased, greater exploitation of gaps in customs took place and many who benefitted from state corruption paid little, if any tax on their ill-gotten gains. The appointment this week of Edward Kieswetter as the new commissioner of SARS holds out hope that this vital institution can be changed to make it again the formidable organisation it was under the leadership of Pravin Gordhan. Only those who fear the consequences of an efficient SARS will complain and they should be concerned. Since the time of Al Capone an independent tax collection agency has constituted the mechanism by which those involved in criminal activity have been caught. SARS may therefore be the best bet outside of the courts to restore accountability and integrity into public life. Sadly, there is still little sign of independent life in the NPA or, for that matter, the Hawks. True, the new NPA head Shamila Batohi has only been in office for two months. But the scale of capture of the NPA, the lack of adequate forensic investigative capacity, let alone lawyers who will prosecute successfully by besting some of the finest from the South African Bar who will appear for the alleged crooks, leads to a gloomy forecast. At the very least Batohi could have taken an anxious public into her confidence and let it know what progress, if any, there has been on the litany of compelling evidence of corruption, racketeering, fraud and vanilla fraud that has been in the public domain ever since the lid was lifted on the Guptas and their activities. An equally challenging problem lies with the public protector, advocate Busisiwe Mkhwebane and her office. Since she took office there have been a number of applications to set aside her recommendations. (At present there appear to be at least 21 applications for review). In her truly ill-fated report about the ABSA lifeboat and her recommendation to review the mandate of the South African Reserve Bank (SARB), the Gauteng High Court ruled that she was personally liable to pay 15% of the costs incurred by SARB. Although we still await the outcome of her appeal to the Constitutional Court which was argued in November 2018, the fact that a court could make such an order was indicative of the High Court's view that the [ublic protector had conducted herself in a completely unjustifiable manner. Undeterred and notwithstanding her complaint about a lack of resources given to her office, the public protector has taken out her legal microwave oven and warmed up an old complaint that the nation had thought had been put to bed – the payout to ex deputy SARS commissioner Ivan Pillay. Making this decision even more curious is that the new complaint upon which the public protector has now acted took place more than two years ago. That means the complaint has expired unless the public protector in her discretion considers that there are special circumstances which justify the investigation. 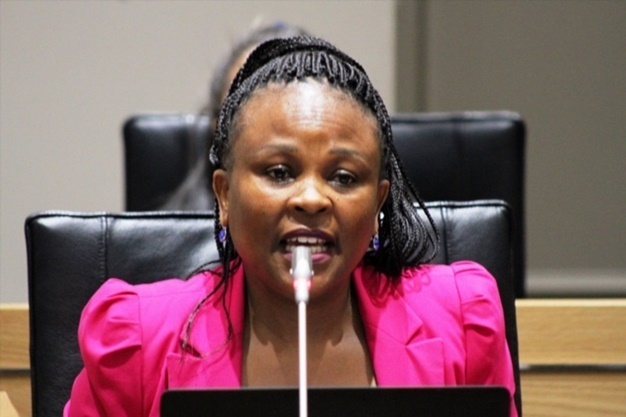 Given the resource constraints and the pressing need to deal with all manner of serious maladministration and corruption, the public is entitled to be curious as to what special circumstances the public protector considers exist to justify this investigation. Twenty-five years into democracy, it sadly appears that save for the courts and the possible resurrection of SARS, the constitutional promise seems to have to await much longer.